IPL or Indian premier league is considered to be one of the finest 20-20 game in the world of Cricket. The Indian Premier League (IPL) may be the biggest and brashest tournament cricket has ever seen, but the alleged behind the scenes financial irregularities may end up seeing India as the real loser, a report in 'The Times' has claimed. According to the report, India has 1.2 billion people, many of them crazy about cricket. Most are growing wealthier and the number who can afford to buy satellite TV subscriptions and replica shirts is growing. More than that, for many Indians, the IPL is an emblem of their aspirations and proof of how the epicenter of the global economy is shifting east. It is also a symbol of what they believe India is destined to become: a true global power. In short, the IPL was an icon of a “New India” – one that was supposed to have shed the corruption, nepotism, cronyism and political patronage of the past. As the confetti settles on this year’s competition, however, the question is whether it is too big to fail. 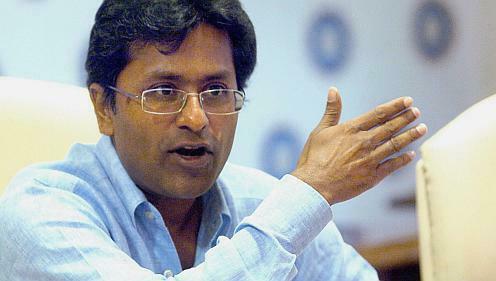 The suspension of Lalit Modi, the IPL’s fast talking creator and chief administrator, just minutes after the Chennai Super Kings vanquished the Mumbai Indians in an IPL final over allegations of money laundering, match-fixing, illegal betting, team auction manipulation, political corruption and multi-million dollar kickbacks, is likely to have a huge adverse impact. The first such operation was conducted on April 15 at the BCCI and IPL premises, including the office of suspended IPL Commissioner Lalit Modi. There is no doubt that the scandal has rocked India to its core. The resignation of Minister of State of external affairs Minister Shashi Tharoor was a reminder of how cricket in the country is riddled with political patronage and worse. Tharoor, a favourite of Sonia Gandhi, was forced to step down when it emerged that a business consortium he had advised had given a 10-million-pound stake in a new IPL side to a woman widely reported to be his girlfriend. Having sacrificed Tharoor, the Government went out for revenge, unleashing its tax inspectors on anybody with an association with the IPL. The real target, however, has appeared to be Modi, who triggered the Tharoor scandal through a leak on the Twitter website. IPL is a very valuable product and has taken Indian cricket to a very high level. Billions of dollars being transacted in this event and every cricket lover loved this event. Lots of money is involved in IPL with big corporates investing in this product. Lalit Modi has done a great job to bring IPL to this level and every Franchisee has accepted this.